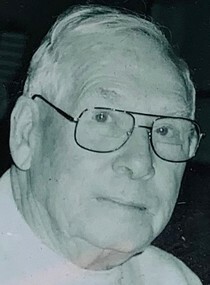 Alvie L. Sturgill, 90, of Wooster, formerly of Ashland passed away Tuesday, January 22, 2019 at the LifeCare Hospice in Wooster following a brief illness. Mr. Sturgill was born in Shegon, WV on May 15, 1928, the son of the late Blackburn and Lula Mae (nee Dillon) Sturgill. He had attended Bethel Baptist Church in Savannah, while living in the Ashland area. Mr. Sturgill was a cemetery sales counselor for Roberts Funeral Home/ Ashland County Memorial Park. He was a licensed real estate agent. At one time, he owned and operated his own insurance agency. He was well known on the summer fair circuit having his own concession trailer serving cotton candy, snow cones, caramel apples,candied applies and caramel corn for more than 20 years. He had also owned and operated his own TV repair shop in Lodi for several years. He enjoyed hunting, fishing, crossword puzzles and reading his Bible. Mr. Sturgill is survived by his wife of 15 years, Lois S. (nee Perry) Sturgill, daughters, Linda D.(Roger) Carson of Mansfield, Yvonne (Doug Enzor) Patterson of Wellington, Yvette (Craig) Newman of Myrtle Beach, SC, Barbara (Dave) Charles of Hickory, NC, son Scott (Jeannie) Sturgill of Ashland, grandchildren, Kelly Mercer, Craig (Danica) Mercer, Timothy (Billie Jo Baughman) Sturgill, Matthew Sturgill, Aaron (Teri) Napier, Jennifer Newman, Matthew Newman, Tami (Jeff Davis) Patterson, Lisa (Michael) Oesch, great grandchildren, Sierra Mercer, Shane Mercer, Trevor Sturgill, Sierra Sturgill, Bryce Napier, Robby Cool, Maya Cool, great great grandchildren, Izaiyah Mercer, Mason Baughman, Karson Baughman,and two more great great grandchildren on the way, brothers Leslie (Roseanne) Sturgill, Williard (Barbara) Sturgill, Bruce (Debbie) Sturgill, Willis Sturgill, Larry (Linda) Sturgill, and a sister Faye Raikes. In addition to his parents, he was preceded in death by his first wife, Fannie (Nee Elkins) Sturgill on April 5, 2001, a son Ashland County Sheriff's Detective Sergeant Glenn Sturgill, (KIA) on Aug. 2, 1982, granddaughter Amanda Sturgill, great granddaughter, Samantha Mercer, brother Archie Sturgill and sisters Janice Birmingham and Freda Hensley. Burial will follow in the Ashland County Memorial Park, with full military honors provided jointly by US Navy and Ashland County Color Guard. The family suggest that memorial contributions may be made to LifeCare Hospice, 1900 Akron Road, Wooster, Ohio 44691.